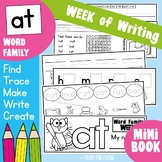 Make learning word families fun, engaging and low prep with our 'week of writing' mini work booklets. 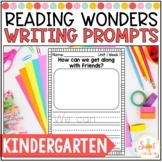 This booklet is for the an word family. 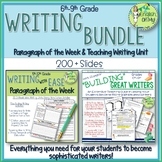 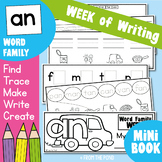 Find the Word Family Week of Writing Mega Bundle HERE This resource will help you sequence a whole week of reading and writing for your WORD FAMILY lessons! 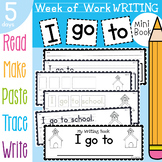 This is 35 weeks of writing homework. 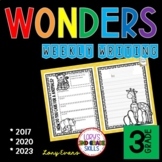 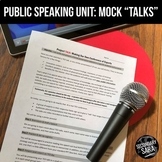 There are different topics, for the different seasons and holidays. Each page has a writing checklist, parent signature line and a due Friday reminder. 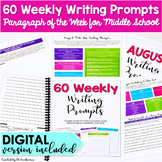 I give this homework with my weekly homework packet that is due Fridays.